Hillary may not be your candidate of choice. She may even espouse positions you find morally reprehensible. Her nomination may evidence for you all the gross aspects of a two-party political system in the U.S.A. But her presidency is the singular path forward. It was not until the middle of the 20th century that Italy began to reconstitute its foundations and embark on an economic miracle. 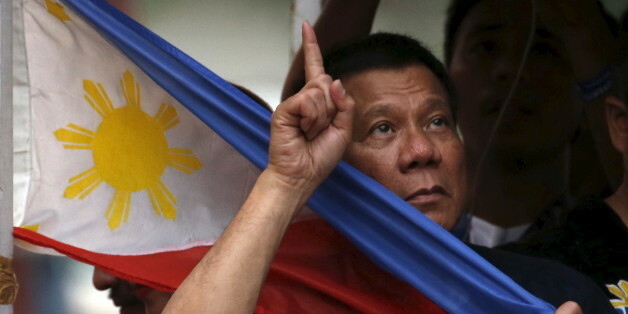 In many ways, the Philippines is caught in the same interregnum. When any group of people is targeted for oppression, it is ultimately everyone's concern. We all, therefore, have a self interest in actively working to dismantle all the many forms of oppression, including cissexism. When any group of people is targeted for oppression, it is ultimately everyone's concern. We all, therefore, have a self-interest in actively working to dismantle all the many forms of oppression, including cissexism. Will a representative of the hyper-rich who is interested in serving the public as president but who does not believe in serving 47 percent of the population, or in the need to make public his tax returns, bring about a perfect storm of male-centric, class-centric, and ethnocentric hegemony? The diversity in the U.S. poses great challenges and opportunities. I would advise Mr. King that the way we meet these challenges will determine whether we remain on the abyss of our history or whether we achieve our promise of becoming a shining beacon to the world.